London is known for its theatres and nightlife but it is also home to some beautiful parks. If you are spending summer in the city, having a green space to relax in is highly important, especially during a heatwave! 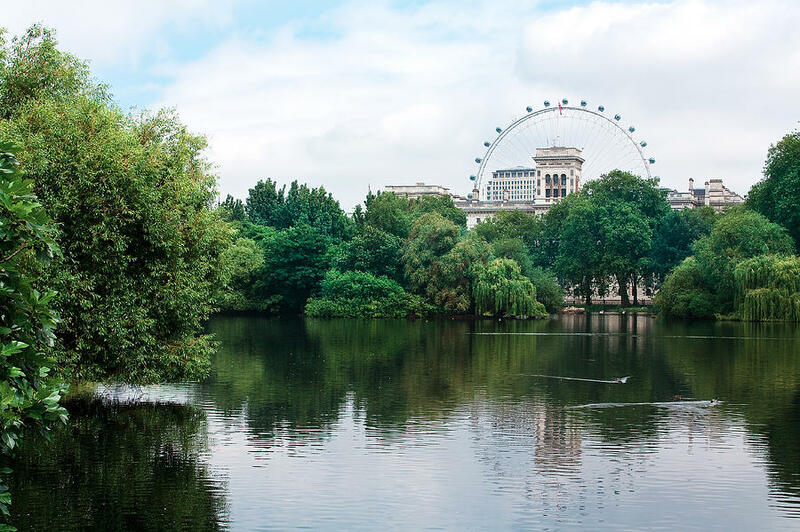 Read on for an overview of 5 of the best parks in London. 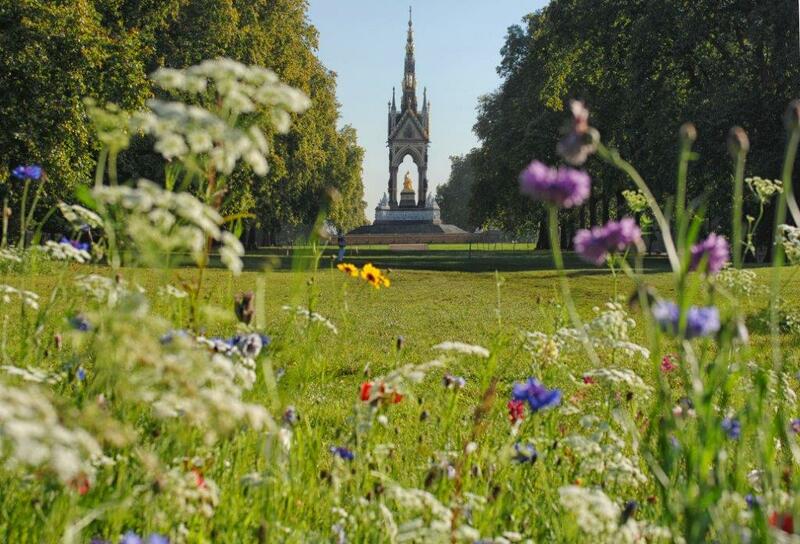 Hyde Park is one of the most famous parks in London. This stunning space stretches over 350 acres and offers lots of activities throughout the year. There are numerous picnic spots where families like to relax, while other attractions are the Rose Garden and the Princess Diana Memorial Fountain. You can always see people relaxing on the grass with a book, doing crosswords and puzzles, or playing their favourite video games on their phones with online bingo games being highly popular. The Serpentine is one of the most important aspects of the park. This artificial lake is located in the centre of the park and people can fire small boats to enjoy floating along on hot summer days. Water birds love the lake and visitors can spend time in the cafes situated around this area. 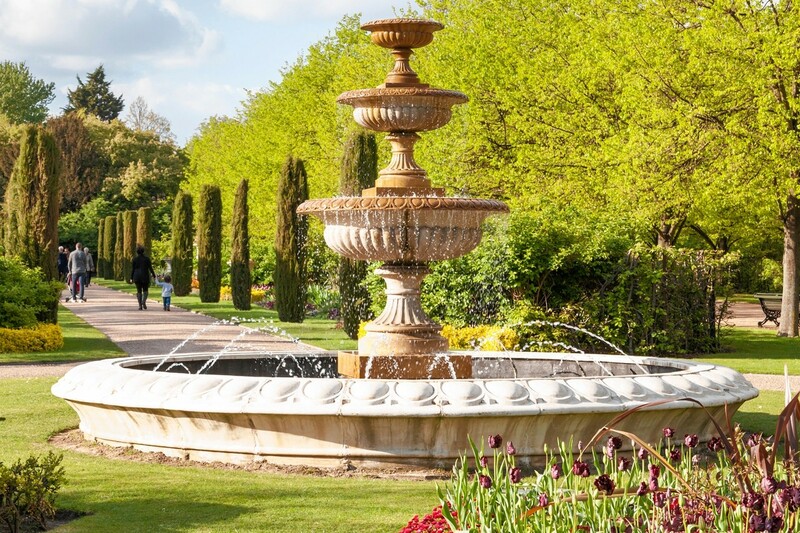 Regent’s Park covers 395 acres and is a wonderful place to visit throughout the year. Home to London Zoo, this park is an ideal extra addition to a day with the animals. Flower enthusiasts will appreciate Regent’s Park as it contains 400 varieties of roses in Queen Mary’s Gardens. This park is a favourite with picnickers and it is extremely well-designed and attractive. St James’s Park is popular with workers taking a lunch break, although as this park is in the heart of the tourist area with the Houses of Parliament nearby, you will often find tourists congregating here. You can find pelicans in St James’s Park and these birds are quite spectacular to watch around the lake. 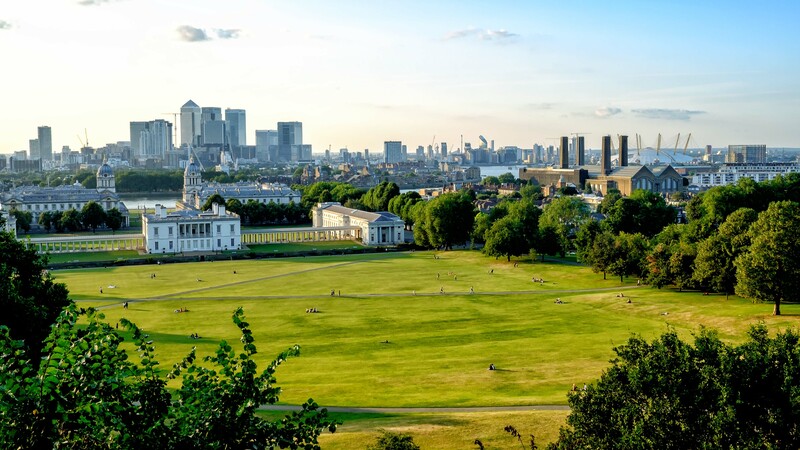 Greenwich Park is one of London’s smaller parks at just 78 acres. You can climb a way to find a space to relax for your lunch, so this park is good for those who like to exercise! There are many attractions in this park including the Royal Observatory, deer enclosure and Roman ruins, while the beautiful flower gardens are also well worth a visit. Hampstead Heath is in north London and a perfect spot for a summer day. In contrast with the other more manicured parks in this list, the Heath is more wild and natural. This is a hilly park and ideal for those who like to ramble at lunchtime. It stretches over 320 acres and includes wooded pathways and attractive ponds. There are even some swimming pools, which are open on hot summer days and staffed by lifeguards. 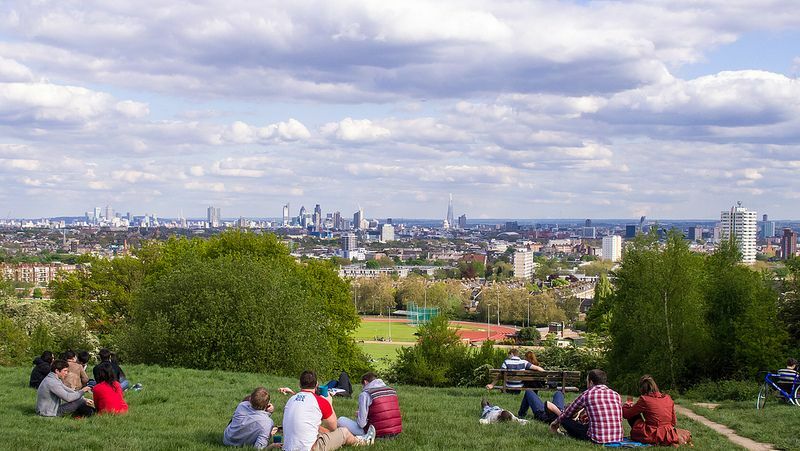 Parliament Hill lies at the top of the Heath and gives a great view across London, letting you see some of the famous landmarks in all their glory, such as the Shard. These 5 London parks give you a chance to enjoy hundreds of acres of green space all within the heart of London. It can feel quite a welcome surprise and give a sudden change of scenery to enter a spacious park after the buzz of the city. These parks offer a haven of tranquillity and are perfect for lazy summer afternoons in the Capital. I really need to tour all these parks, especially the Greenwich one ! For now I always stayed near Hyde Park, but will have to discover the others next time !